Ringo Starr told the Times Of London that he spent most of the 70's and 80's upset and angry over the break-up of the Beatles. The drummer said he spent a good deal of time drunk enough to have made it difficult to remember much of anything during the period, calling some of those years '...absolutley gone' to him. Ringo and his wife went through rehab together in 1988. He emerged with a determination to live a healthier life. 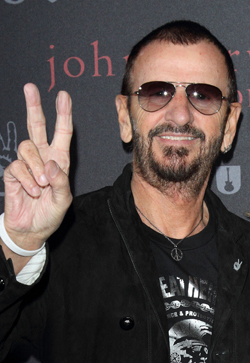 Ringo will be introduced to the Rock Hall Of Fame this week in Cleveland by Paul McCartney.